You might be one of the top rising DJs in your town, but if you don’t have a portfolio of professional-sounding mixes, you’re just not going to land the gigs you want. We’ve had a number of new DJs asking us to go over the basics of recording a mix, so today we take a closer look at why recording great DJ mixes is extremely important. We’ve also put together some tips on how to make the process of recording those winning mixes simple and efficient. A few weeks ago in our weekly email, we included a tip that strongly encouraged recording every single mix that passes through your DJ equipment. While it might sound like overkill, we live in an era of extremely cheap data storage (cheaper by the minute), so there’s virtually zero cost associated with recording your mix session. Don’t be afraid in this process to take notes and set goals for yourself. This especially comes in handy when you’re trying new techniques – from perfecting those basic transition styles to practicing new styles of buildups – and want to assess how well those techniques worked in the mix. You’ll sometimes be surprised, for better or for worse, at what it sounds like when you’re not behind the decks. 2) Share the mix: Your fans and friends know that you’re a DJ, and in a media-saturated digital world full of content creators, sharing new content is the best way to remind them that you’re still in the game (and available to play their next house party). Online mixes tend to stick best if you’re also breaking new tracks or revealing deep cuts on them – this is the time to show off your digging prowess. Not every mix makes it past the previous step of reviewing and critiquing – so use your good judgement here and only let quality favorites trickle down this list for you to dominate Soundcloud with. You never know where these mixes will get played – from long roadtrips to late-night work sessions, you want to makes sure the listener feels like rocking your mix was worth it. 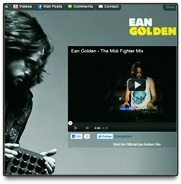 3) Create an online brand: For many DJs, mixes are the best equivalent to a résumé and portfolio for potential gigs. While DJTT has written plenty in the past about crafting your online DJ brand, the mixes are often the core meat and potatoes that promoters and potential clients look at. While we’ve all heard stories of the promoters who just look at Facebook likes when considering booking a DJ, but if you don’t have a solid catalog of a few mixes, most club owners won’t even look twice at you. This is again an even higher level of quality of mix that should enter this tier – these are the mixes you’ll feature and link to the most, so make sure only the most technically clean and solid mixes you make are used here. Let’s talk about how to record your mixes. If you’re like many DJs who don’t record regularly, during the actual mix it sounds amazing – but when you record them and listen back to them you find you sound worse than what you heard. Whether the recording is a low quality, levels are off or peaking, or even that you didn’t have the right inputs selected, there’s nothing more frustrating than having a great session and not having the taped version deliver the same level of quality. To CD/Tape: These are archaic media, and we recommend not recording to these formats unless you’re an extreme purist. Even then, remember that you’ll have to digitize these recordings – and seriously, who even owns a tape/CD recorder anymore? Digital Audio Recorder: These are typically found in higher end installations and studios, and there are portable versions that start at about $200 and allow you to record to an SD card and then extract the digital recording from that. (We’re partial to the Zoom H4 recorders) After recording, you then copy your mix to your computer, run it through your audio editing software to trim any dead air and then dump it onto your favorite MP3 player or DJ mix sharing site. We find that using an external recorder like this is ideal for recording shows where you don’t want to have anything else to worry about on your computer. 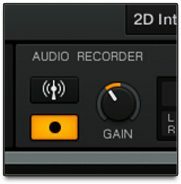 Straight To Computer: Recording directly to your computer is the most sensible and simplest solution. This can be slightly more complicated to setup initially depending on your DJ workflow of choice, and provides you the flexibility to send your mixes anywhere and quicker. 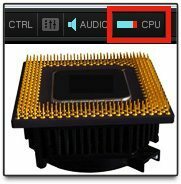 Let’s take a closer look at how to make a great recording into your computer. If you’re mixing externally, you’ll need to route the audio back into your computer before you can start recording your mix. Your specific setup will cause this vary, but for most typical digital DJ setups a simple male/male RCA cable or male/male RCA to 1/8″ cable will suffice. Check the back of your mixer to choose the best output for these cables – on Pioneer and Allen and Heath mixers, you’ll want to choose the Record Out. On Rane mixers, you’ll often find a Session Out. 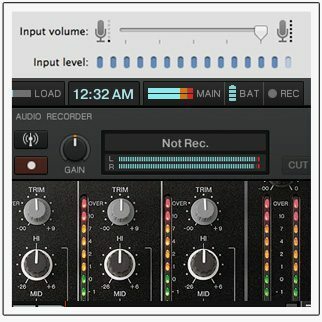 For a number of newer and more expensive digital DJ mixers, like the Allen & Heath DB series, you’re actually able to route a Record Out signal back through the built-in soundcard and into your computer or DJ software. The reason you want to use a record out or equivalent signal is because the normal master output on many mixers sends line level output which is tied to the output that you’re sending to the speakers. You also might, in the course of a gig, make dramatic adjustments to this master gain, but record/session outs are independently controlled and will maintain a level signal. Case in point: the first time I tried to record my mix through a PC, it sounded horrible. I plugged my master out into my sound card and started a test record using Audacity. When I played it back, I noticed that the sound was clipping. I reduced the master volume on my mixer and tried again. The sound continued to clip, but not as drastically. I also tried reducing the record volume within Audacity to compensate, but no matter what setting I tried, the sound was unusable. The source of the problem: the signal I was sending from my mixer was too much for my PC’s sound card to handle. I was sending a powerful line-level output from my mixer into a a mic-level input on my soundcard and destroying the recording. There’s only one way to make sure you’re capturing great recordings – testing and checking your recordings. We’ll get to that in a minute. For those of us who mix completely internally, great news! You’re probably already aware, but recording an internal DJ set is significantly less work in terms of wiring and getting everything sorted out. Here’s the rule – as long as all of your audio goes through your DJ software and is output in one master channel, your DJ software will be able to record just final performance audio. Nothing fancy to worry about here – but you’ll still want to test the recording and check your final audio and waveforms in Audacity (see below) to make sure you’ve got all the levels right. Taking a few seconds to test your recording setup and check how it sounds and what the recorded files looks like always pays off – especially when you’re first setting up your recording process. 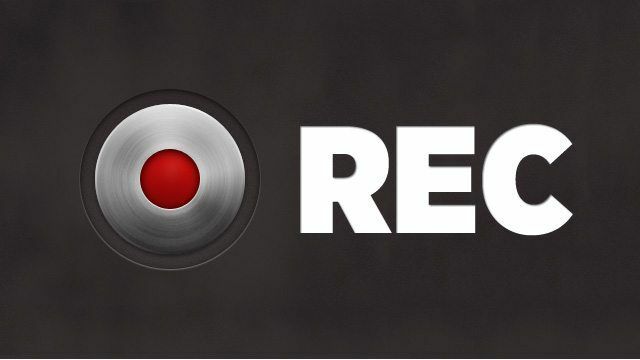 One of the key tricks when setting up your recordings is to follow the signal path and make sure that nowhere along the line is your mix peaking – watch for your master signal in your DJ software, on your mixer, and in your audio input settings – and make sure that it’s not in the red or peaking at any step of the way. The image on the right shows what peaking looks like in many different forms, avoid it at all costs. Not everyone is aware of what good-looking waveforms look like, so I’ve put together a series of screenshots from the above story for a quick crash course in waveform analysis. The following graphics demonstrate what the waveform looks like under different circumstances. These graphics are copied out of Audacity and represent the +/- voltage strengths of the signal that was recorded, and under each graphic is the recorded sound. Both right and left channels are shown. The above was my first attempt at recording. Notice that the sound signal consumes the entire area. I was basically throwing too much signal at the port and it translated there is full volume of a really poor quality sound almost 100% of the time. After reducing the master volume down to 10% of capacity and recording again, the above waveform was produced. This is better as we actually see grey space (less than 100% volume) but the peaks are all at maximum, so clipping is still occurring. The above picture shows you what happens when your recording setup is done properly. Notice that the waveform never hits maximum volume. There are distinct peaks and valleys but the signal is clean and is not clipping. Now let’s ask the question “if I use a computer in any way in my DJ kit setup, do I need a second computer to record my mixes?” This is a difficult question to answer because of a number of different variables. Can your computer handle the processing load of both playing and recording music? Do you have enough free USB ports for connecting your controller, USB hard drive (possibly) and an audio interface? Is there going to be contention for disk resources when you are reading MP3s for playback and writing the recording of your set? For a lot of DJs who don’t necessarily have newer and better-performing computers, the answer might sometimes be that your computer can’t handle both DJing and recording simultaneously. 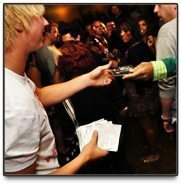 For DJs and live performers who simply don’t want to have the risk or have additional computer-focused activities going on while performing (Mad Zach falls into this category), you might also avoid doing both. 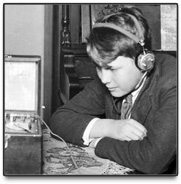 Instead of buying a second computer, this is where we would actually recommend purchasing a digital audio recorder. You would only need to maintain one computer and you’ll be able to have a standalone unit dedicated to just recording mixes. Handy! Finally, here’s one key tip that will make your future recordings a breeze every time: set up the levels and inputs and outputs how you will have them when recording and take notes of where all of your levels are at. Even consider writing them down, and make sure that you can easily duplicate this setup in very little time. Getting set up to record should only take about two minutes tops – you want there to be as little barrier as possible to you being able to press the record button and start making your next big mix-tape. How do you record your mixes? Experienced veterans, what tips do you have for the DJs who’ve never recorded a mix before?